The fashion industry is good for a variety of things — dressing us, for one — but a progressive attitude toward diversity is not one of its virtues. High fashion has long maintained an image that is, for lack of a better word, whitewashed. Few designers cast multiple women of color, and I'd be hard-pressed to name more than a handful of major brands that have used a non-white girl to front an ad campaign. Discrimination and secondary treatment bordering on outright racism in the industry isn't surprising, but it is disappointing. Former model turned activist Bethann Hardison teamed up with Naomi Campbell and Iman last year to form the Diversity Coalition as a direct response to the lack of representation for women of color in fashion. 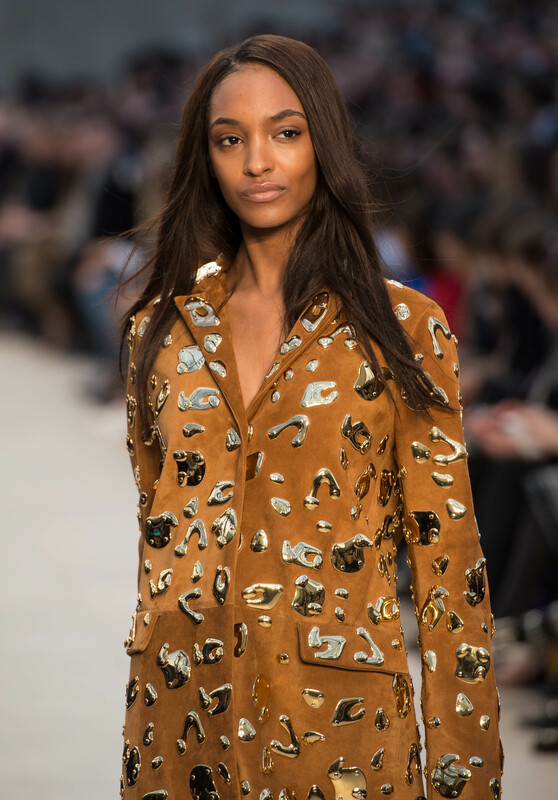 The Coalition, which analyzes the racial demographics in runway shows by season, actually reported progress in diversity for the September 2013 fashion shows. The Coalition compared notes from this past season with their critique of the February 2013 season prior, and found that many of the 16 New York labels they had originally assessed had markedly improved the diversity of their models. Calvin Klein Collection's September show, the most improved, added five models of color to their original zero, while Narciso Rodriguez and The Row both increased from zero to four. Hardison lauded the positive changes in an e-mail to the Council of Fashion Designers of America's president Diane von Furstenberg, and its chief executive officer Steven Kolb, but was certain to stress, "The objective is to continue this improvement across the entire industry. We look for consistency and not because of advocacy or a season lending to darker skin." She added, "It is important to say that there are design houses serviced by casting directors and stylists who are latent, as they seem comfortable with stereotypical images." In addition to the CFDA, Hardison also passed her message along to the British Fashion Council, the Fédération Française de la Couture, and the Camera Nazionale della Moda Italiana. She personally praised the BFC's chairwoman Natalie Massenet, as well as Miuccia Prada, Anna Wintour, Vogue Italia editor-in-chief Franca Sozzani, and designer Valentino for their similar attitudes toward the need for greater diversity in fashion. Diane and I reached out to and met with the Diversity Coalition after last fashion week to be supportive. We felt we could really help by expanding our seasonal fashion week letter to have a stronger message of diversity. … CFDA also will work with the Coalition to organize and industry panel some time in the spring. With so many international fashion influencers on board, the Coalition seems to be doing a fine job of making waves in the industry. Let's hope all this talk actually leads to some action, and we start seeing more and more diverse faces marching down the runway each season.